DSI International (DSI) and Impact Technologies (Impact) have teamed to provide a total systems solution for Prognostics Health Management (PHM). The integration of Diagnostics and Prognostics technology brings the solution together to meet the needs of the advanced PHM Programs. Understanding the requirements and providing a high confidence solution are key to the total program’s integration needs. The numbers are straight forward but the effort to drive the requirements into the system design and to provide a run-time solution with the confidence needed requires the integration of mature and demonstrated technologies. This also requires the resource expertise and infrastructure that DSI and Impact provide. Impact Technologies has a mature and proven evidence-based reasoning approach has been shown to provide robust and straightforward fault isolation results based on automatically submitted PHM evidence. Impact’s significant experience in developing and deploying real-time reasoning algorithms for helicopter engine subsystems, ship propulsion systems, amphibious vehicle systems and avionic subsystems for the F-18 have demonstrated our ability to deploy and support such technologies on complex military platforms. DSI’s mature and proven functional and failure mode modeling approach has been shown to provide a highly effective front design solution for high confidence fault detection and isolation, along with optimized sensor selection and placement, and cost effective function allocations and partitioning. 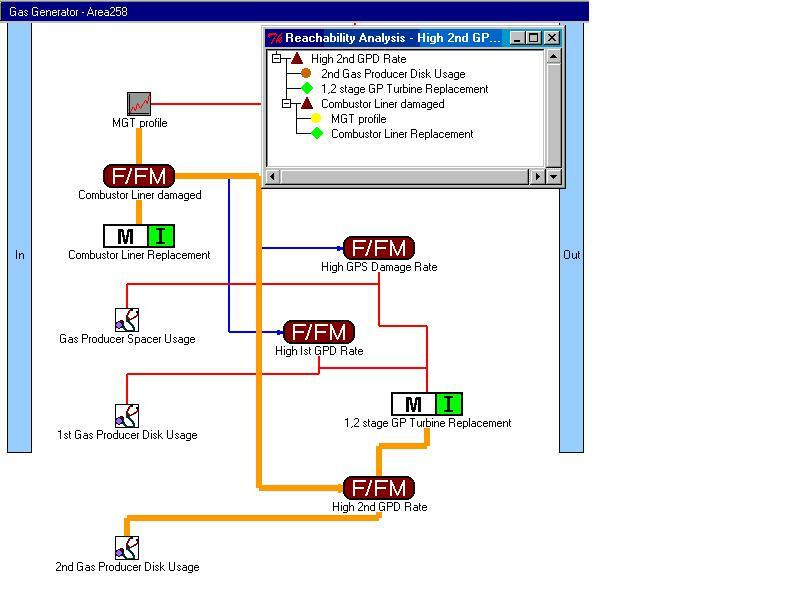 This up-front design driven analysis provides the needed design capabilities for effective run-time reasoning and rapid maintenance. The integration of DSI’s diagnostics and Impact’s Prognostics, and run-time reasoning and run-time executive, results in an operational and support environment with high Operational Availability and Mission Reliability, at minimum Life Cycle Cost. Impact’s evidence-based fault/failure mode isolation reasoner will be implemented in conjunction with the “failure mode propagation model” developed using the eXpress™ Diagnostics tool. 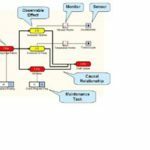 This model-based fault isolation approach provides simple and accurate representation of faults/failure modes and their propagation paths throughout the platform. The eXpress™ Diagnostics model is critical for accurately characterizing the relationships between symptoms, indicators or evidence with associated fault/failure modes in the target platform. In addition, due to the ability of the model to represent causality, both spatial (proximity) and temporal reasoning can be applied. An example of Impact’s integrated modeling capability using eXpress™ Diagnostics as the core knowledge-base for the evidence and temporal-based reasoning approach is shown in Figure 5-1. As previously stated, the integrated failure mode model is an underlying XML database that can be queried by reasoning algorithms and implemented within an open-systems framework. The core database relates all potential evidence sources (anomaly detections, diagnostics, observations, experience, prognostics, etc.) be modeled with their associated particular faults or failure modes (and propagation effects) for the system under consideration. Because causality can be represented with the modeling paradigm, fault or failure mode propagation paths can then be analyzed based on associated PHM “monitor” activation sequences. The reasoning algorithms briefly described next integrate and act on all potential sources of automatic or manual state awareness technologies and can be easily expanded upon. Impact has previously developed a suite of core reasoning algorithms based on both evidential and Dempster-Shafer based methodologies that can be used with the eXpress Diagnostics™ model for fault/failure mode and LRU-level isolation. A simple example associated with an engine bearing failure is provided below. 1) Oil debris monitor alarm or observation of metal on magnetic plug or “zapper”. 2) A diagnostic algorithm detecting a high oil temperature from a thermocouple. 3) A diagnostic algorithm detecting specific fault frequency amplitudes above pre-defined limits. 4) The observation of excessive vibration by the operator. By combining these evidence sources with the effects of the failure modes, the eXpress™ Diagnostics integrated model configuration shown in Figure 5-2 can be easily generated. Conceptually, the evidence sources or “monitors” (using information provided by the sensors) and the “inspection type” maintenance tasks serve to potentially mitigate the fault tree that could ultimately lead to a shaft seizure. 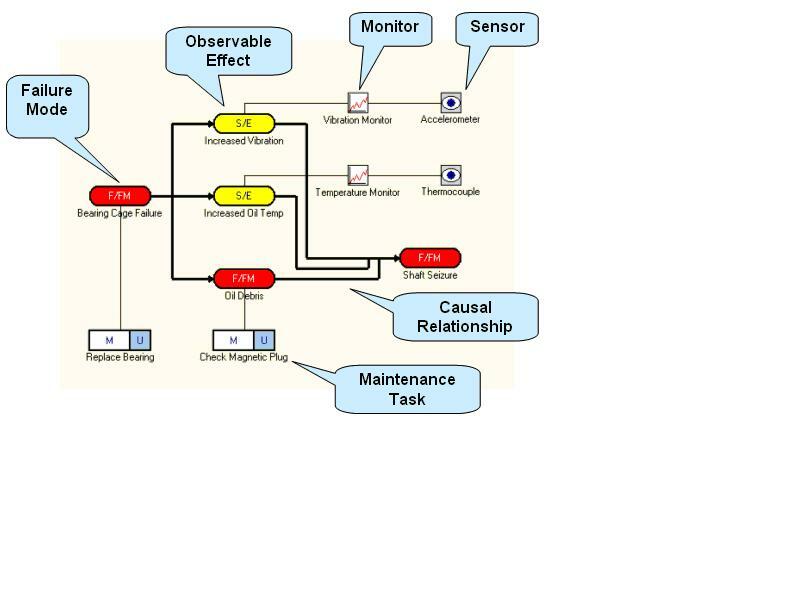 Maintenance reasoning can also be performed using this modeling paradigm. Depending on the degree that the “monitors” or evidence sources may be trusted (false alarm and true positive rate), if one or both of the monitors activates the inspection test should be performed to corroborate the submitted evidence. If is does, the bearing replacement is called out. The generic categories of evidence sources that are currently represented in the modeling paradigm are provided in the list below. However, this can easily be reconfigured for specific application of target evidence sources which may be primarily electronic / sensor driven. 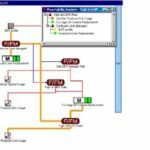 The integration of DSI’s eXpress™ Diagnostics tool and Impact’s software overcomes the factors that inhibit the ability to realize a combined FMECA and Health Management Design at the system-wide level. Our evidence and temporal based reasoner algorithms work directly with this integrated model to isolate down to particular faults or faulty LRUs.